Yesterday the discussion was mostly about Nokia’s delivery times for updates. Now let’s look at that oh so subtle change of the legend of a name that was Symbian – the first to bring smartphone to the masses which now has been quietly dropped in line for the Nokia brand, Nokia Belle. It’s been almost a day, how are you liking it? Should Nokia have stuck with Nokia Belle or kept Symbian Belle? Maybe some other name? It was for a time, really great with the various UIs from other manufacturers. Nokia went full on flooding the market with brilliant S60 (Series 60) phones but never really understood how to get S60 on touch without looking like a disaster of S60 just plastered on a touch screen. I remember seeing the first ever demo, knowing what to expect from iPhone and just feeling such an anticlimax. It got worse as Android started picking up and was also beginning to improve usability on the touch screen. In the mean time we were stuck with S60 5th whilst Symbian floundered wasting time trying to make itself open source. Whilst no real development occurred, the wider public became used to simplicity, fluidity and stability. This meant that all of Symbian’s riches were being overlooked. It was no longer about features X,Y,Z but how easy it is, how quickly and reliable it was to perform A, B or C.
Over time as Nokia failed to maintain Symbian to the standard it needed to be usability wise, Symbian was and had lost the respect of some of the major tech blogs. Many as you know often making snide jabs and constant put downs before even having tried the device. Many comments from youtube immediately ignorant to the new S^3 basing it on either poor experience with S^1/S60 5th/S60 or not even that at all, but the hearsay of the tainted Symbian name. 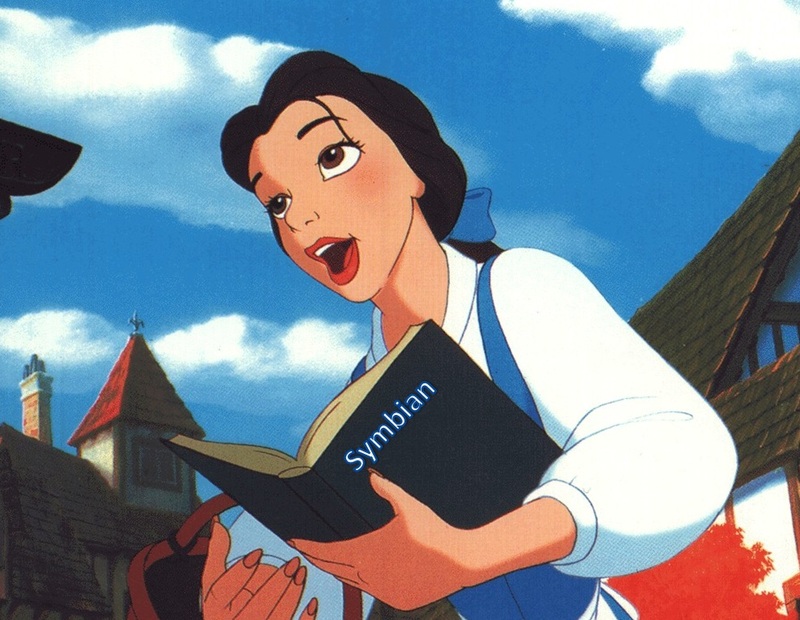 I’ve seen a few comments, some Symbian fans saying it’s hard to accept that now Symbian is associated with a fail. Particularly now that even Nokia’s CEO has deemed it so and is moving to a different platform (though still continuing to improve and support it, making sure it’s not stuck on S^3 but has gone from Anna, Belle and will continue to Carla and Donna). So is it a good thing to change the name, the tainted brand of Symbian so that no preconceived notions and wrong assumptions are made before trying out Symbian Belle. Belle is indeed correctly beautiful, addressing many of the usability concerns and as many have put making the phone feel new. Some saying they can’t look back to Anna at all. 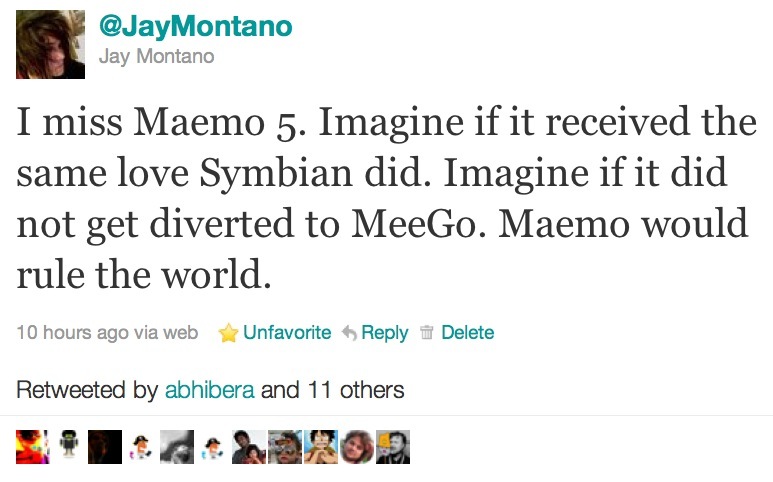 I miss Maemo 5. Imagine if it received the same love Symbian did. Imagine if it did not get diverted to MeeGo. Maemo would rule the world. As a Nokia fan, it pains me that we had waited so long and the solution for total dominance was there (Maemo at high end, Symbian crushing Android before it even got a foothold of mid). Positively received software, the hardware was powerful, the only niggles were some things that could have easily been ironed out and that it was fat. Just that. We would never have needed to go Windows Phone, we would still have many great Symbian phones but then many more and even more amazing Maemo 6 and Maemo 7 phones. Apps, well, Nokia just needed the right consistent platform to build on. The maemo community would always be there, but then they could have done similar projects, many many give aways, even buy developers, spend a few billion just getting developers. Why not, they did have sufficient cash then. They played the game much too safe, bet too much on Symbian instead of taking the risk with the incredible Maemo and now here we are. Symbian name is no longer on the table.